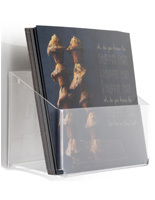 Can be Hung with Screws (Not Included). 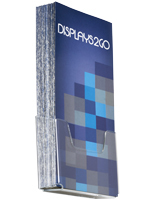 Plastic Construction will Last for Years. 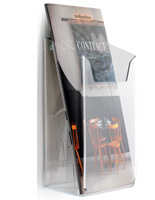 Mounting Tape is Provided with Purchase for Easy Hanging. 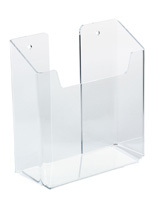 The hanging acrylic brochure rack is able withstand rough use in busy retail or waiting rooms settings because it is durable. 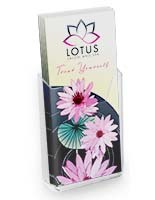 The literature holders are made to display 3-1/2” w pamphlets in this easy to access, single-pocket design. 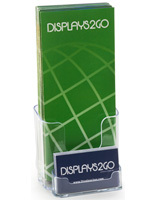 The brochure rack that is a wall mount will help owners save valuable merchandising space on floors and counters. 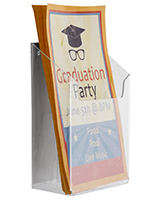 The literature holder displays important information near check in areas, retail, counters, and entrances and exits. 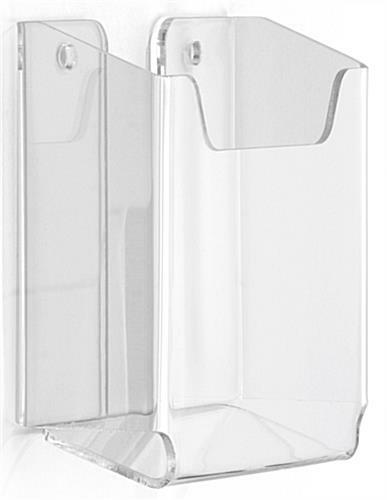 The wall mount pocket has a front notch that allows customers to reach in and grab a pamphlet easily. 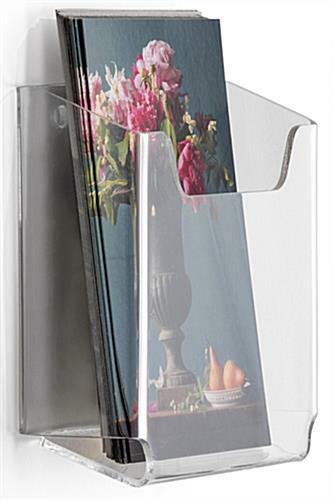 The compact unit won’t even take up a lot of wall display area because it’s so unimposing. 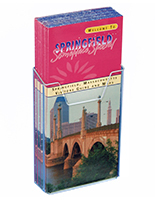 3.8" x 3.4" x 1.1"
We are unable to accept orders for less than 20 units.